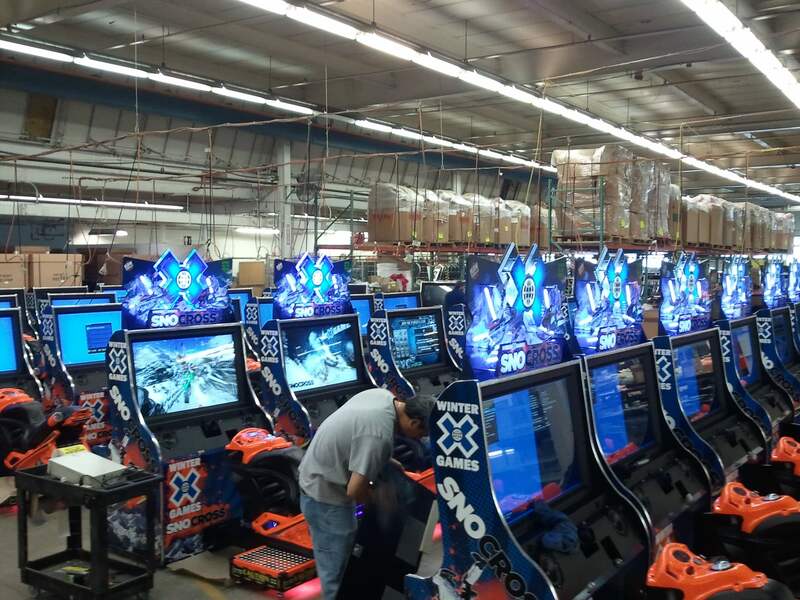 New Releases – Raw Thrills, Inc.
Coming soon to an arcade near you, Terminator 32”! The results are in: Terminator Salvation™ Arcade is the Total Package! One look at Terminator Salvation™ Arcade, the new 2 player arcade shooter by Play Mechanix, and operators will immediately understand why players are drawn to it, dropping coin after coin to play this exciting game. The collections reported from FEC’s and street locations confirm and surpass operators’ cashbox expectations. Test samples in the market are blowing away the competition. A movie theater in NY has averaged over $1,000 per week, for eight weeks. A billiard parlor in NYC reported $1,300 on a two-week collection. 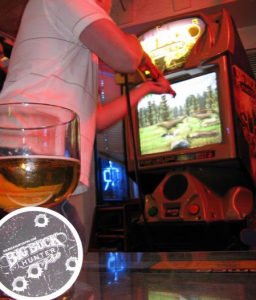 A New England sports bar reported a one week collection of $1,100 (the highest collection of any gun game ever at this facility). A Southwest bowling center reported a 3 week high collection of $1,800, while an East Coast indoor sports facility clocked in a 2 week collection of $1,600. 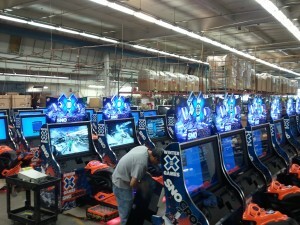 Terminator Salvation™ Arcade is truly the total package! Operators are being advised to get their orders in early with their authorized Raw Thrills/Play Mechanix distributor to get early delivery to experience exhilarating revenue.